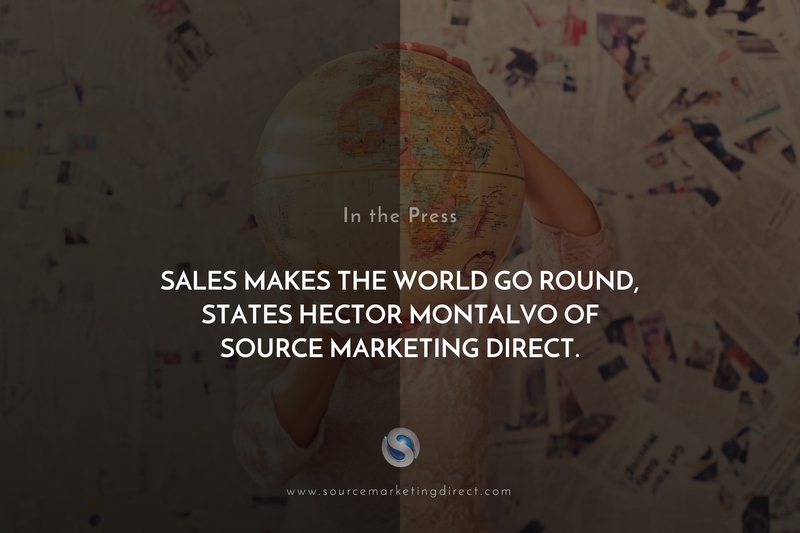 Sales makes the world go round, states Hector Montalvo of Source Marketing Direct. Speaking in an interview hosted on his company’s YouTube channel, Source Marketing Direct’s Managing Director Hector Montalvo declared that – whether people like it or not – sales makes the world turn. Responding to questions and accusations about Steve Job’s role in creating a consumer culture that may be harming individual well-being, Montalvo states that while everyone’s entitled to their own opinions, he views them as absolute pioneers. “Both Steve Jobs and now Tim Cook will leave an astonishing legacy. They’ve both changed the way our society operates today, and have constantly challenged the status quo. The goal of society is for us to improve as a collective, and be more fulfilled, and they’ve been key players in such outcomes,” states Montalvo. The film Steve Jobs released back in 2015 paints him as a tortured soul who would stop at nothing while striving to design machines that were made better than he was. The film left the provocative question – would you rather do something extraordinary that benefits the lives of millions of people, or simply be liked by several hundred? The Managing Director of Source Marketing Direct can relate to the question, as he feels sales receives some of the biggest negatives and criticism of any industry present in the UK – and unjustly. His firm have engaged with around 6,500,000 people in London over the last 10 years in face to face sales roles – roughly around 75% of the city’s population – and encounter strange criticism of the sales industry, and what it entails in 2018. “If you don’t like sales that’s fine, you’re entitled to your opinion – but as a parent, I’m selling to my kids every day. Some individuals don’t know that they too do it everyday – consciously or unconsciously. They might sell their friends on trying out a product that has benefited them without even getting paid for it – sales makes the world go round,” concluded Montalvo, to the company’s YouTube channel. Indeed, Montalvo has gone on record previously citing that ignoring criticism is often a big part of an entrepreneur’s journey, as there will always be ‘dissenting voices’ who might not necessarily believe in you, your ideas, your decisions or your company. Source Marketing Direct – Mr. Montalvo’s business – focuses on face-to-face sales through event based marketing and business solicitations. Although the company recently celebrated 10 years of business in London, Montalvo admits that there were times when he faced tough decisions to keep his dream alive. Next Next post: Source Marketing Direct acknowledges grit as key factor in pushing for continuous momentum.